What Next? magazine features the latest information for parents, students and teachers about post-school options. 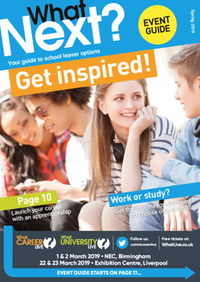 Distributed to selected schools across the UK and available free at What Career Live? and What University Live? events, it is an essential guide to apprenticeships and university.